Has your face begun to sag? Is it losing its youthful firmness as the skin on your cheeks, jowls, or neck becomes loose? 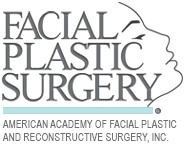 You can restore a youthful firmness to your face and have tighter skin once again – without surgery. 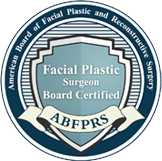 Board-certified facial plastic surgeon, Dr. Anna Petropoulos, is a leader and innovator in facial rejuvenation techniques in the Boston area. She uses Thermage to tighten the skin without surgery and restore a sense of vitality and well-being to her patients’ lives. 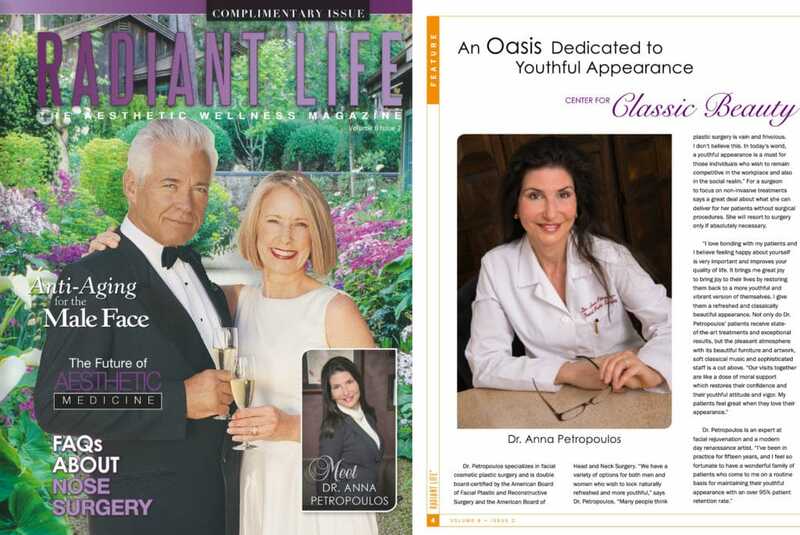 Allow Dr. Petropoulos to be your partner and guide, making your appearance her priority. She has a wealth of innovative non-surgical options at her fingertips and turns to facial plastic surgery only when necessary. At your consultation, Dr. Petropoulos will help you determine which treatment, whether surgical or non-surgical, will be the best path to your desired look. If you are ready to discover what Thermage skin treatments can do for you, while simultaneously exploring other non-surgical alternatives, request a consultation online with Dr. Petropoulos or call her at 978-739-9500. She has been helping women and men from Gloucester, Peabody, Beverly and other North Shore communities, and throughout New England, restore and maintain their beauty for over a decade. Collagen is the skin’s fountain of youth. It helps skin look fresh and full of life by filling it out with plump resilience. As we age and are exposed to the elements, collagen production slows down and existing collagen becomes saggy, elongated, and depleted. This collagen loss causes your skin to look loose, as fine lines and wrinkles also start to appear. Thermage treatments use radio frequency energy to safely tighten collagen deep within the skin. The radio frequency energy also increases production of new collagen so that the improvements continue to increase gradually over time. can thermage be combined with any other treatments? It is possible to improve upon perfection! While Dr. Petropoulos provides exquisite facial renewal for her Boston-area patients using Thermage, combining it with Fraxel®, a fractionated laser skin treatment, superlative, yet natural results are achieved. 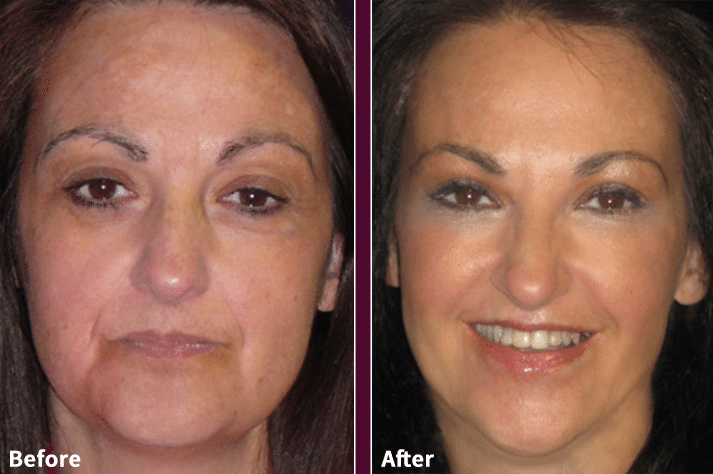 This exciting non-surgical combination breakthrough in facial rejuvenation is called ThermaFrax. 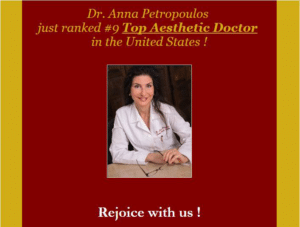 Dr. Petropoulos was one of the first physicians in the country to offer it. She begins the facial renewal process with Fraxel to re-texturize the skin; this corrects fine lines, large pores, and brown spots so that the skin looks and feels young again. After about a month, she uses Thermage to tighten and contour the skin. With ThermaFrax, we can improve the superficial skin texture and tighten the skin on a deeper level as well. 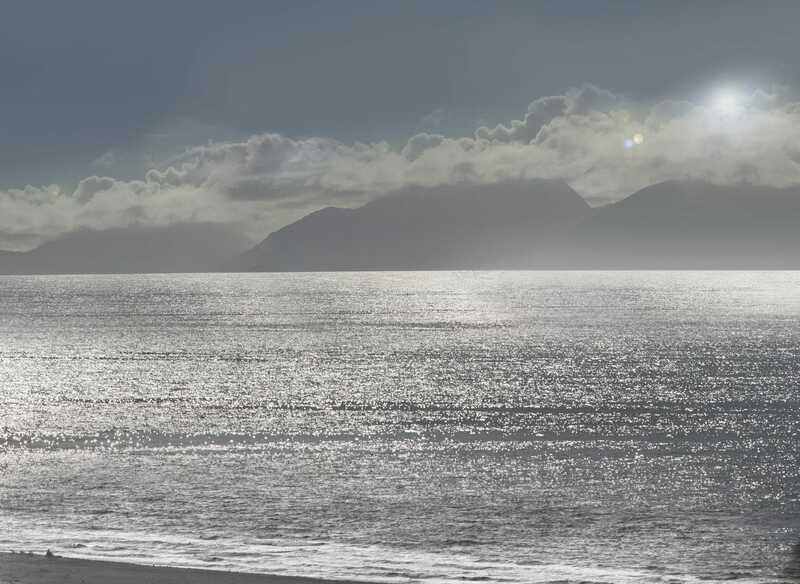 Thermage treatments usually take about an hour, depending on the size of the areas you are having treated. (Thermage body treatments are also available to lose inches and address cellulite, and these treatments may take longer.) With each touch of the Thermage treatment tip, you will feel a brief, heating sensation. To optimize your comfort, we deliver a cooling spray is automatically before, during, and after each application of the treatment tip. There is no downtime and patients can resume their daily activities immediately after their treatment and go back to work the next day. You will see and feel some tightening right away and your skin will continue to tighten over the next 6 months, lifting your cheeks and restoring a crisp jaw line for you once again. How Many Thermage Treatments Will I Need? Most patients require only a single Thermage treatment to attain desired improvements. 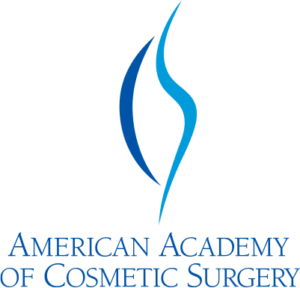 There are some patients who would be better served with a facelift but who want to avoid surgery – those patients are likely to need 2 Thermage treatments to restore their youthful appearance. 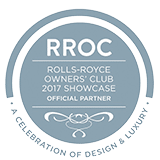 Dr. Anna Petropoulos was asked by the International Rolls Royce Owners Club to preside as the exclusive plastic surgeon. Click here to learn more! © 2019 Anna Petropoulos, MD, FRCS. All Rights Reserved.